Greg Norman was born and grew up in Mount Isa, Queensland, Australia. He spent his childhood on beautiful beaches and sports such as surfing, fishing, … which seemed to have nothing related to Golf. It was until he was 15 that he understood and loved this rich man’s sport. It was in a afternoon when his mother taught the 15-year-old Norman how to golf and allowed him to caddy for her at the Virginia Golf Club, Brisbane. So far Greg Norman has been not only a legend in the golf world but also showed his outstanding talent as a golf course designer. 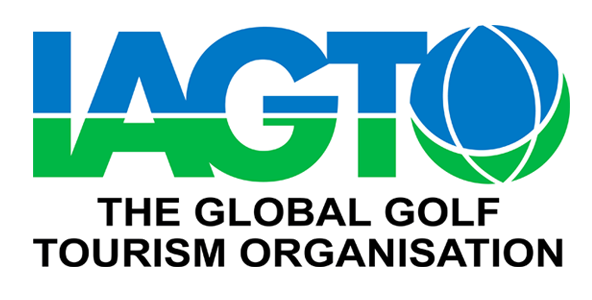 On the occasion our legendary has just been named Vietnam Tourism Ambassador for the term of 2018 to 2021, UniGolf would like to list golf masterpieces designed by ” White Shark ” – Greg Norman in Vietnam. 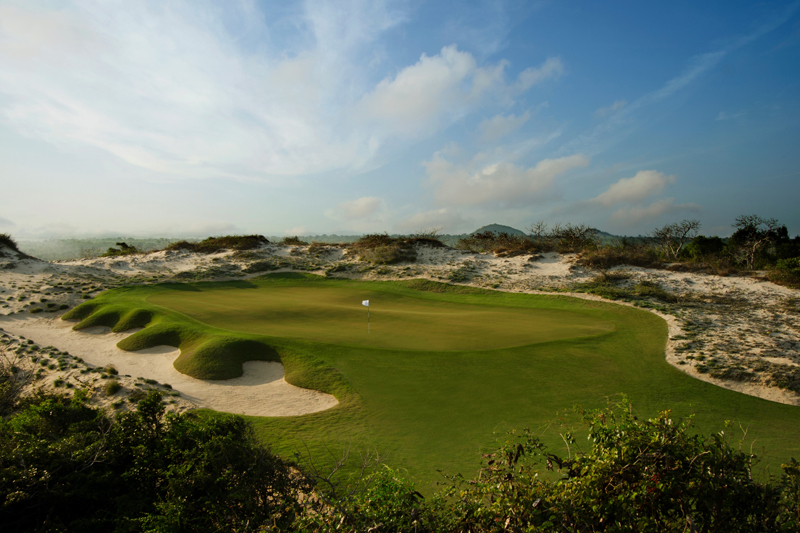 BRG Danang Golf Resort is Greg Norman’s first masterpiece in Vietnam. Located on the central coast of Vietnam, over 150 hectares of sandy hills, featuring less trees and natural lakes. The 760-yard, 18-hole golf course features a classic link-style design that reminds of the world’s oldest golf courses. 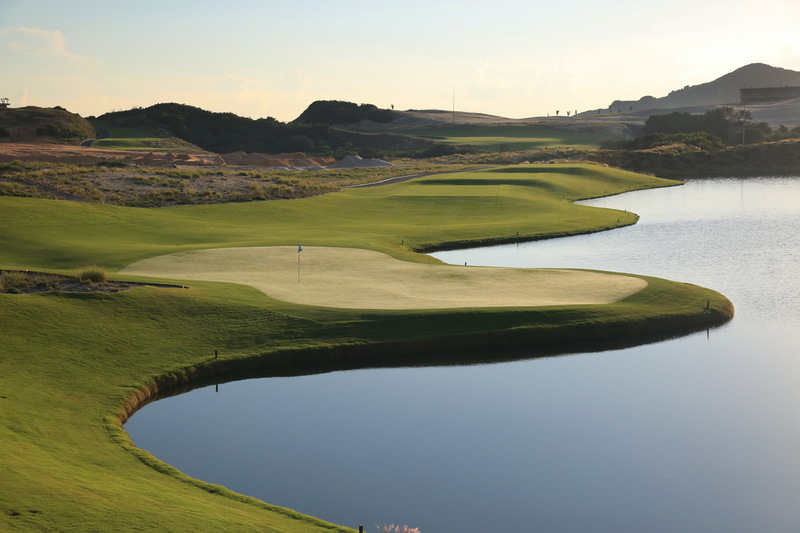 The talent of Greg Norman made the course leap to fame being recognized as “one of the 15 best new courses in the world”. It was right at the time this golf course was introduced to the public(2010). 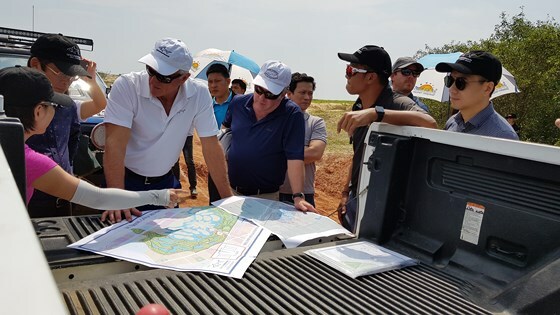 The chance to come Vietnam and design this golf course is the fire bait for his interest in potential Golf tourism in Vietnam and his desire to create more masterpieces in this country. The Bluffs Ho Tram Strip is located in the southeast of Ho Chi Minh City on the sunny beach. The pitch is 7,000 yards from the professional pitch and 6400 meters on the team play. The course includes five holes par 3; four holes par 5 and nine holes par 4. The Bluffs embraces the true nature of link-style golf course. Majority of the area sets on genuine links land and features stunning ocean and forest view with heavy sea breeze and ideal terrain surrounded by soaring natural sand dunes and lakes. Recently, The Bluffs Ho Tram Strip has retained its status with a spectacular breakthrough as climbing up to no. 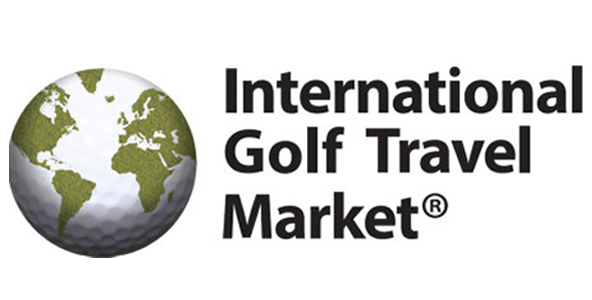 35 in the top 100 greatest golf courses in the world by Golf Digest. 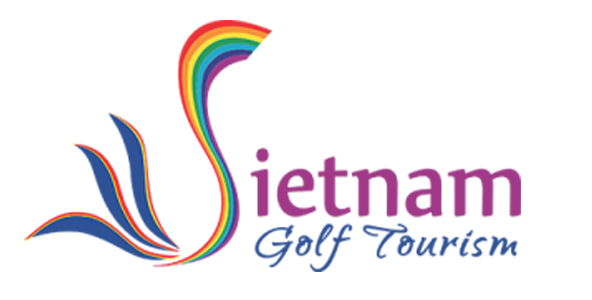 This great recognition is not only an honor to Mr. Greg Norman but also Vietnamese Golfers as a world’s greatest golf course is located in his/her homeland. KN Golf Links is the 18-hole par-72 championship golf course. Measuring over 7,150 yards from the Championship tees with 8-kilometre crescent of sand in Khanh Hoa province. This Golf course plays along stunning natural sand dunes with breathtaking views of the South Sea. It is also the most devoted masterpiece of Greg Norman . Recently, KN Golf Links has been rewarded “Best New Golf Course Asia Pacific – 2018”. This great news doubles his joys as it was right at the time of KN Golf Links’s Grand Opening. 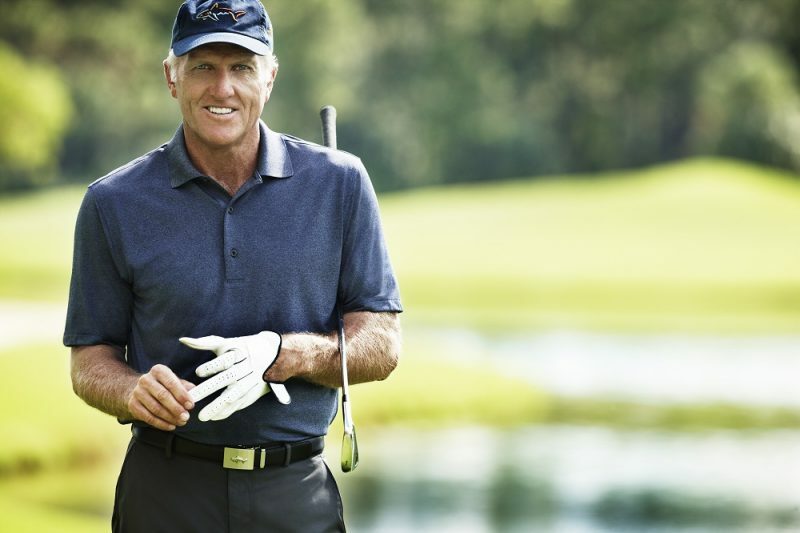 Beside BRG Đa Nang Golf Resort, The Bluffs Ho Tram Strip and KN Golf Links, golf lovers have received a great news: Greg Norman is getting his hand for new masterpiece in the upcoming golf course project in Quang Binh. This is a 36-hole golf course project with international standard. This project is carried out in an a total area of 175ha with total investment of nearly VND 1,000 billion. UniGolf is the leading partners of all golf courses in Vietnam, including BRG Danang Golf Resort, The Bluffs Ho Tram Strip and KN Golf Links. Whether you want to have golf experience at 1 of these 3 the masterpieces designed by “white shark” Greg Norman, contact us to receive the best price on the market, including booking and tour.